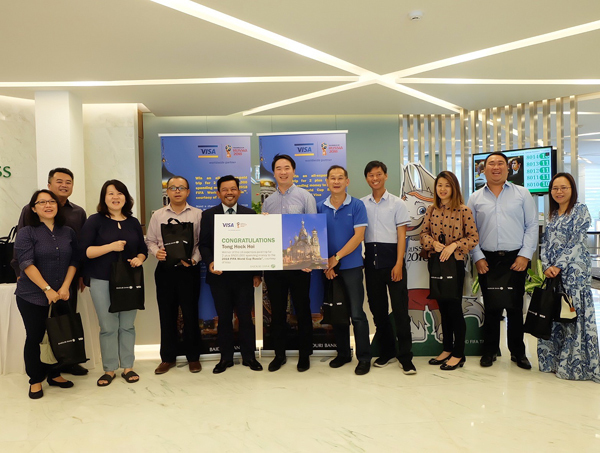 Visa and Baiduri Bank, the organisers of the “Win an All-Expenses-Paid Trip for 2 to the 2018 FIFA World Cup Russia™, courtesy of Visa” have announced the grand prize winner at a prize presentation ceremony held at Baiduri Bank Headquarters in Kiarong today. The promotion was held from the 1 February 2018 to the 30 April 2018. 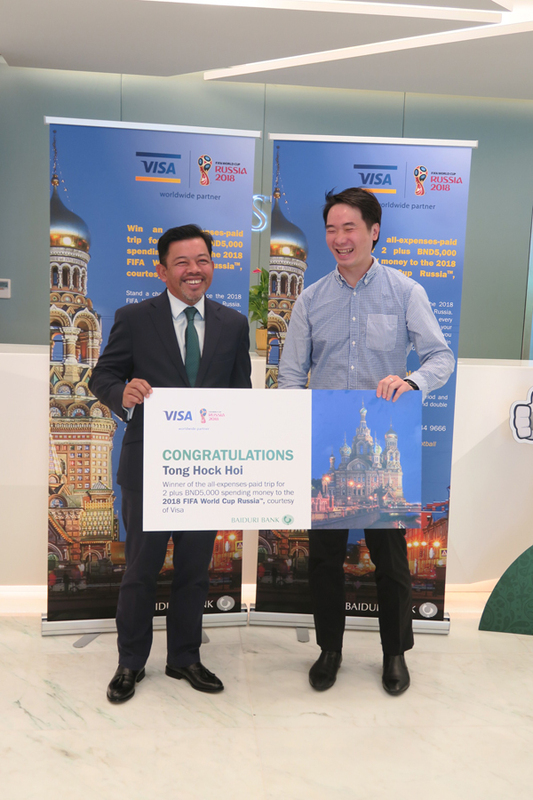 Winning a once in a lifetime, all-expense paid trip for two to watch the semi-final match at the 2018 FIFA World Cup™ in Moscow, Russia, is Mr Tong Hock Hoi, an entrepreneur. During the promotion period, Baiduri Visa Infinite, Platinum, Gold, Classic and Debit cardholders, who spend on their Baiduri Visa cards, received one chance for every BND 50 spent in the grand draw. Mr Tong Hock Hoi and his wife will be arriving in Moscow on 8 July 2018 and treated to a 5-day/4-night accommodation with breakfast, all scheduled ground transportation, Visa FIFA World Cup™ themed merchandise, Visa Prepaid products, two tickets to watch the semi-final match of the 2018 FIFA World Cup™ and spending money of BND 5,000. On top of Mr Tong winning the coveted grand prize, 8 other monthly winners also brought home Visa FIFA World Cup™ themed merchandise.